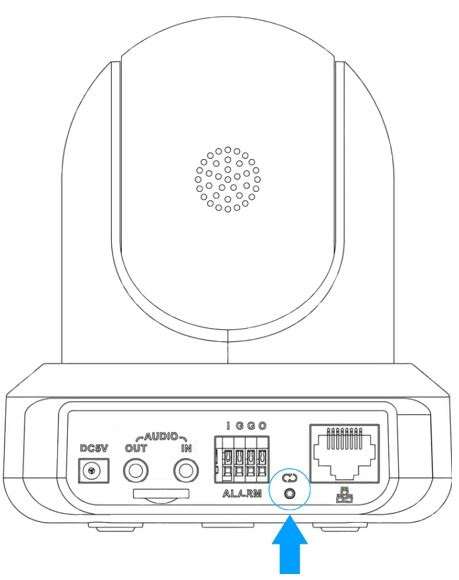 A factory reset of the Indoor ProHD IP Camera to its original system state by erasing all of the information stored on the device in an attempt to restore the device's software to its original manufacturer settings. The has an external factory reset button lit by a LED located on the backside of the camera. Press and hold the factory reset button for approximately 20 seconds, or until the green light changes to red. Once the light turns red, the process will begin. This will ultimately restore the device to its factory settings and will reset ALL of the camera's settings. The factory reset will finish by panning and tilting the camera, ensuring operation and the light will turn green. The camera will then be completely reset back to its factory state. How To Verify Privacy Mask Settings.